This is a single spandex fiber from the sample-set provided by Textile Fabric Consultants, Inc. Glospan is a trademarked product of the RadiciSpandex Company. 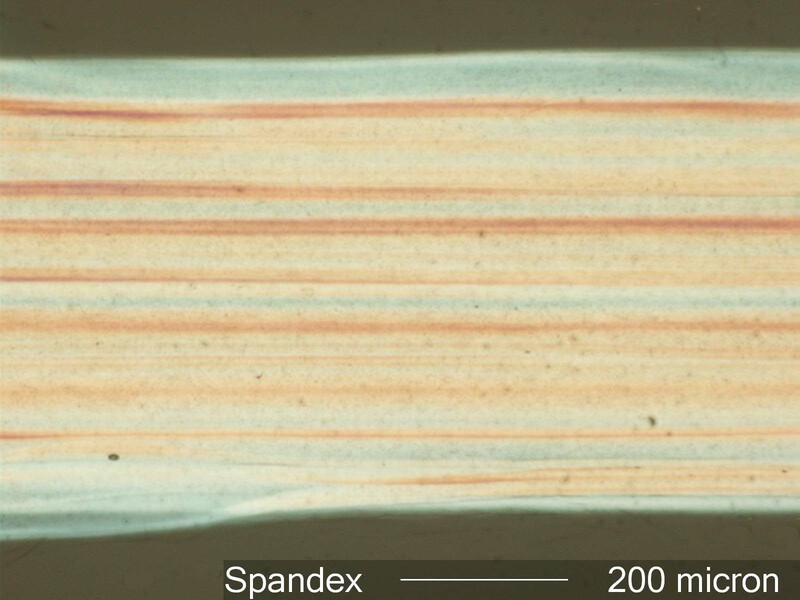 The low birefringence of the fiber and its relatively thick cross-section results in the mid to high first order interference color seen here. Striations can be seen running the length of the fiber and are the result of its highly crenulate cross-section.